Psst. Hey you! Want in on a little local Trade Secret? 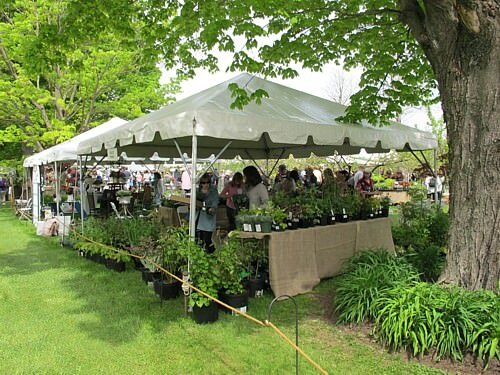 This event which celebrates it’s 6th year, brings together the greater gardening community to visit the Litchfield area. 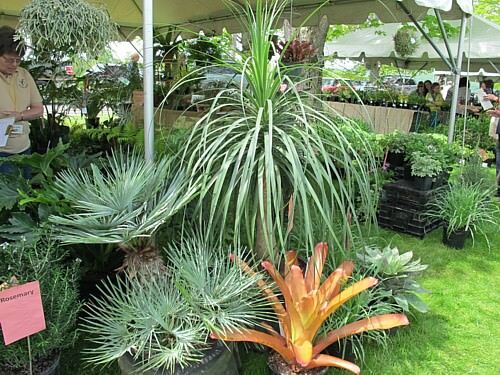 Originally started in May of 2011 by Bunny Williams, it has expanded year by year adding additional vendors and bringing in ever greater numbers of visitors and avid gardeners including celebrities like Martha Stewart. This year’s event will be hosted at Lion Rock Farm in Sharon, CT., and the Extraordinary Garden Tour will kick off on Sunday, May 15, featuring four area gardens including Bunny Williams (Trade Secrets Founder) and her husband, John Roselli’s garden. The other parts of the tour will include Carolyne Roehm’s “Weatherstone”; Pat and Judy Murphy’s “Old Farm Nursery”; and the exclusive garden of Michael Trapp. For more information about each tour, visit their tours page for more information. On Saturday, Trade Secrets will be hosting a book signing as well. Of the over 60 vendors from the New England area, here are some spotlights on some of our very own local vendors that will be at the event. Since Battle Hill Forge opened in 2004 it has made a name for itself in the local area and beyond. It has come to be known for innovative and quality metalwork and design. Every day BHF designs and builds one-of-a-kind, hand-forged, fabricated works of art—both functional and artistic—out of metal. The products range from elegant two-foot-tall garden stakes to towering (and frightening) pumpkin-head scarecrows. From plant supports to custom arbors, trellises, fences, and railings, Battle Hill Forge does it all. It is, undoubtedly, a Forge to be reckoned with. Retro and Vintage Furniture and Home Accessories special sourced and selected by Scott Belter and Bob Pidkameny. Hunter Bee is an antique store with a unique perspective – from American country and industrial pieces to mid-century design classics with quirky folk art and the occasional found object thrown in for interest. The store has something for everyone from high to low, with special “must have” pieces that amuse and add personality to anyone’s home. Hunter Bee has developed a loyal following of collectors and friends of the unique and the unusual. Johnnycake Books is an Internet and storefront bookseller of rare and collectible books. They were one of the first several hundred booksellers to put their collections on the Internet in 1996. The storefront is located in the small Connecticut town of Salisbury. Nestled in the foothills of the Berkshires, the shop is housed in a 19th-century farmer’s cottage. Surrounded by perennial gardens, Johnnycake Books is a place for relaxation, perusal, and acquisition of the fine volumes in their collection. A full service florist with an exquisite floral style with European flair. KFB offers a wide and unique line of gifts, including high quality local and imported fresh flowers, one of a kind floral designs for any occasions including weddings and sympathy, unique potted container plants for the home, office, hospital, restaurant and more. Including custom potted orchid designs, handmade terrariums, Indonesian garden and home teak furniture, Russian amber and many more interesting gifts starting from $ 5 and up. Kent Greenhouse & Gardens serves owners of fine residential homes & properties where the main concerns are design, quality, and lasting value. They offer 10 acres of Nursery Stock, Perennials, Annuals, Architectural Woodwork & Outdoor Living Showcase, with a Design Studio. Markristo Farm is a certified organic family owned market garden. Since 1988, Martin and Christa Stosiek, have grown from a couple of acres to over 20, producing a diverse crop of vegetables, cut flowers, and bedding plants. They market all of their products locally through restaurants, farm stands, resorts, conference centers, an independently run organic wholesaler, and 2 Farmers’ Markets. Markristo Farm is a founding member of the CRAFT internship program and they enjoy training and working with 2 to 3 interns annually (since 1995). Antiques and custom designed Industrial-inspired furniture. Greg and Natalie Randall opened R.T. Facts in the old Town Hall of Kent, Ct in 1992. Greg’s background is in Sculpture, art history, 18thc century English furniture and architecture while Natalie hails from the world of fashion design. Each having a passion for the arts, they consider the store to be their creative outlet. The merging of their distinct personalities and tastes is what really makes R.T. Facts stand apart. Sweethaven Farm is a creative Floral and Event Design business located in Salisbury, CT, specializing in all of Life’s Celebrations, Weddings, Bar Mitzvahs, Showers, Birthdays and with a special focus on Holiday Decorating for home and businesses! Sweethaven Farm also offers workshops and a Holiday pop up shop from November to December. The Farm is by appointment only. For more information about Trade Secrets, please check out their website, you can also follow them on Twitter or Facebook. About Women’s Support Services: The WSS mission is to create a community free of domestic violence and abuse through intervention, prevention and education by offering free, confidential, client-centered services focused on safety, support advocacy and community outreach. Amenia sits on the most eastern side of New York State, and just minutes from the boarder of rural Connecticut. In this small geographical area over 50 small private art studios, and over a dozen art galleries can be perused only minutes from the inn. The area is rich in history as well as rich in the history of the fine arts. If you are coming for the weekend and wish to explore locally and perhaps buy some art, it’s also worth creating a little art of your own if you are feeling adventurous. Nunwell Glass offers glass blowing workshops including a safety talk and demonstration. Here you can create glass works to bring home as mementos of your stay at Hilltop House Bed and Breakfast. Nunwell Glass, (21 minutes from the inn) 24 Furnace Road, Lakeville, CT 06039 860-435-9818, http://www.glasscats.com. Founded by Jane Coats Eckert in 1996, Eckert Fine Art is a leading gallery that specializes in Post-War and Contemporary art. The gallery is a member of the Fine Art Dealers Association (FADA) and is featured on Artsy. (https://www.artsy.net/) They exhibit mixed and single artist shows. Blown glass gallery and studio. The gallery features blown glass made on site, from functional to limited edition & one-of-a-kind pieces, as well as hand-selected jewelry and locally made clothing. Everyone is welcome to watch by chance or appointment when glass is being blown. Glass blowing generally happens from 9:30 am – 2 pm. Please call ahead to confirm. They offer classes and workshops. This charming 1850’s post and beam building offers a unique space for local artists to display their works of art. While Heron Craft Gallery may not fall into the category of traditional fine art by some, it offers fine craft work and handmade art that falls into the category of ”it’s a fantastic place to shop for family and friends for the holidays and special occasions.” Well curated and hand selected, the inventory at the Gallery is of exceptional quality and the best you can find in the area of contemporary crafts and other delightful findings. James Barron is a private art dealer specializing in modern and contemporary American and European art, dividing his time between Rome, Italy and Kent, CT. He established James Barron Art in 2010. Trained as an art historian at Brown University, Barron is known for his refined vision and ability to juxtapose works in unexpected combinations. Barron is equally adept in guiding both new and experienced collectors. Joie de Livres Gallery on Main Street is in the heart of Salisbury, Connecticut and offers an eclectic mix of fine art photography and photography books. The Gallery features the work of both well-known photographers and newer artists. The Kent Art Association was founded in 1923 by nine well established artists who knew each other when they lived in New York before moving to Kent. Their first event was an annual show at which only their own art was displayed. More artists were accepted over the years and invited in to be associates. The art space, located in the center of Kent, displays art by artists in a variety of mediums: mixed media including sculpture, watercolors, acrylics, and pastels as well as traditional oils. The Gallery has spring and fall shows as well as juried shows. They hold classes as well, check their website for upcoming events. The seven-thousand-foot main gallery offers space for major works and sculpture while smaller adjacent rooms highlight the smaller pieces. Natural light is well utilized within the building and the floor to ceiling front windows highlight and enhance the art within. The gallery offers rotating exhibits year around and is a well-known focal point of Litchfield County’s culture. 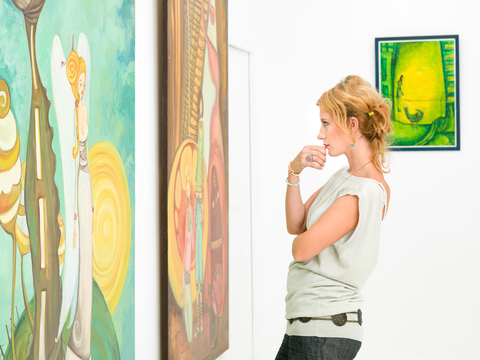 The gallery draws collectors from all over New England. Ober Gallery was founded in 2006 by Rob Ober. The gallery has a reputation for showing internationally recognized Russian artists. Four of these gallery artists were included in the groundbreaking 2005 Guggenheim Museum show “Russia!” In recent years the gallery has also focused on showcasing talented young artists from New York City, as well as giving exposure to the work of New England landscape painters. WaterWorks is a gallery and art school offering instruction in nature based painting: landscape painting, botanical illustration and traditional watercolor technique. Saturday classes are open to all: beginners through advanced students. They will be featuring an array of monthly watercolor classes every weekend throughout the year. The White Gallery is one of Northwest Connecticut’s and the Tri-State regions premier art galleries, presenting Modern Contemporary Masters and the best of emerging artists. A select mix of mix of paintings, sculpture, and photography, the White Gallery represents fine art of exceptional quality and value and is dedicated to increasing the awareness and appreciation of fine art. Wassaic offers multiple programs and educational offerings to the local and visiting community. The Exhibitions Program shows and promotes the work of their artist residents and emerging artists chosen by jury, and provides opportunities for emerging curators to share their visions. Last Saturdays offers a variety of arts programing on the last Saturday of every month, May through October. Beginning with their Community Day Block Party and Artist Parade in May and ending with an Artist-Made Haunted House in the Mill in October. A year round market, they have a wide selection of fresh produce and farm products. An early spring spring art celebration and gallery walk will take place in Lakeville on Saturday April 2, 2016 from 4-6 pm. The gallery walk will coincide with the opening of WaterWorks a new Lakeville art gallery and watercolor painting school founded by artist Leslie Watkins. Waterworks is located at 325 Main Street in the Parish House of the Methodist church. Across the street the White Gallery will host its closing of its 2016 “Winter Warmer” exhibition. This rotating group show features many represented artists of different styles and media. Artists include Sarah Martinez, Harry Rich, Debra Losada, Carolyn Edlund, Nancy Lasar, Janet Iffland, David Dunlop, Frances B. Ashforth, Joan Jardine, Kate Stiassni and Avery Danziger. Next door to the White Gallery, Somethins Gotta Give decorative arts gallery will feature its usual blend of finely crafted objects by local artisans in the tri-state area. 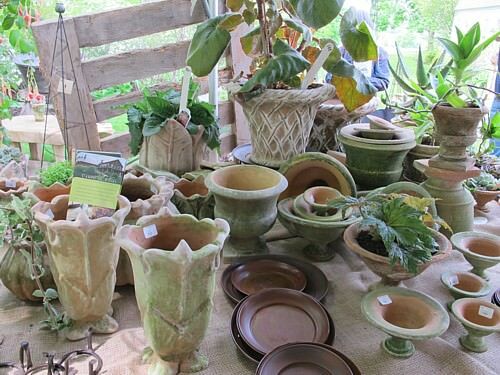 There is fine made-to-order furniture, one of a kind ceramics and wood decoratives. Just down the road on Route 44, Millerton Road, Argazzi Gallery will continue its featured artists Winter Show with an array of paintings of both emerging and established artists. Lakeville Interiors newly renovated retail shop on nearby Holley Street will feature art by Great Barrington based artist Isha Nelson. There is a wide selection of fabrics, wallpapers, custom furniture, area rugs and carpeting Their on-site workroom includes window treatments, pillows, slipcovers and upholstery. Refreshments and hors d’oeuvres will be served at some of the galleries.